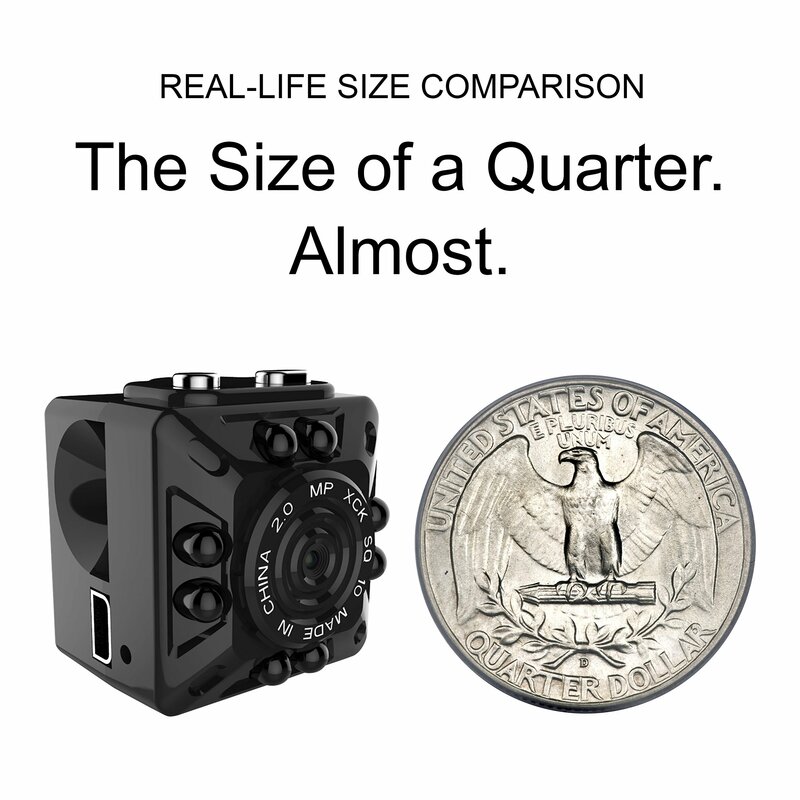 ✓ THE SIZE OF A QUARTER. ALMOST. 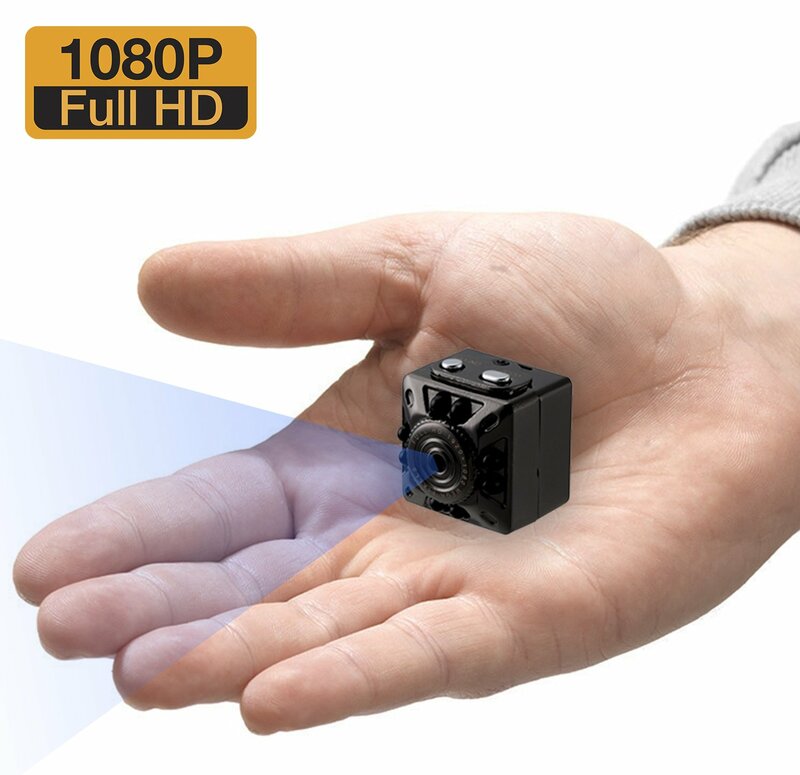 This matte black, coin-sized, Full HD micro camera, it’s perhaps the smaller HD camera on the planet. Place it semi-hidden strategically for the best takings or video record in public places without calling attention. 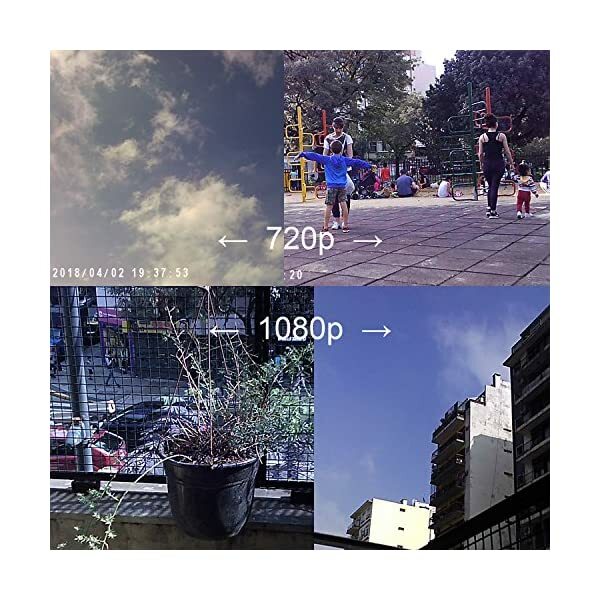 ✓ 1080p FULL HD WITH AUDIO. It doesn’t matter if you are recording your 1-year-old first birthday party, your first Indy movie, monitoring your pets, the nanny or your elders’ caregivers. Save all the details. Including audio. 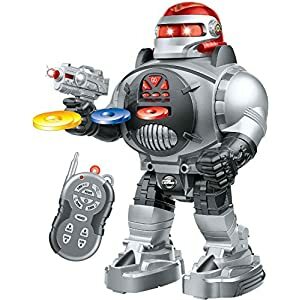 ✓ YOUR OWN PERSONAL ROBOT GUARD. 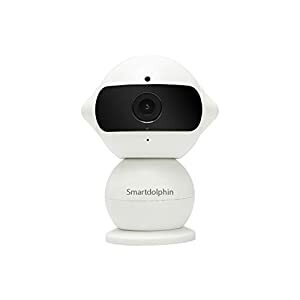 In Motion Detection mode, when the sensor detects activity, the camera will wake up and record for 2 minutes and save it to an individual video file. ✓ NIGHT VISION. 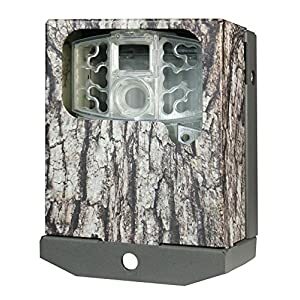 This tiny camera has super powered night vision for better recording in low light or total darkness. 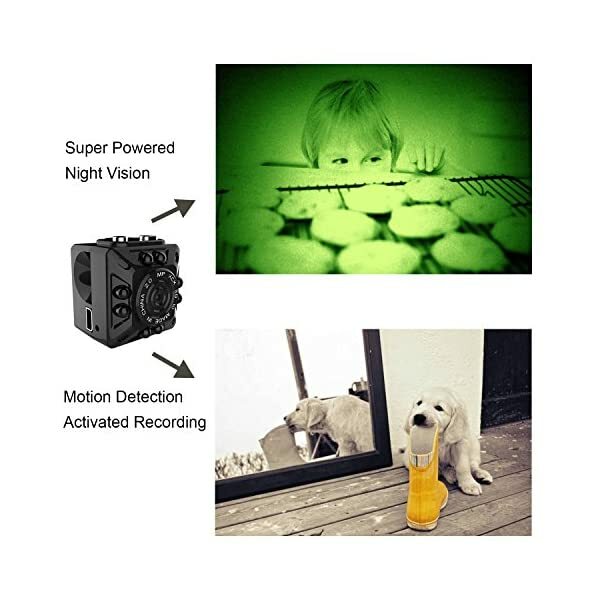 Pair Night Vision with Motion Detection and you may be surprised by what happens when your home is in the darkness. ✓ UP TO 32GB MicroSD CARD. While recording, the older files will be overwritten by the new files to prevent the card to get full. The MicroSD card is NOT included. 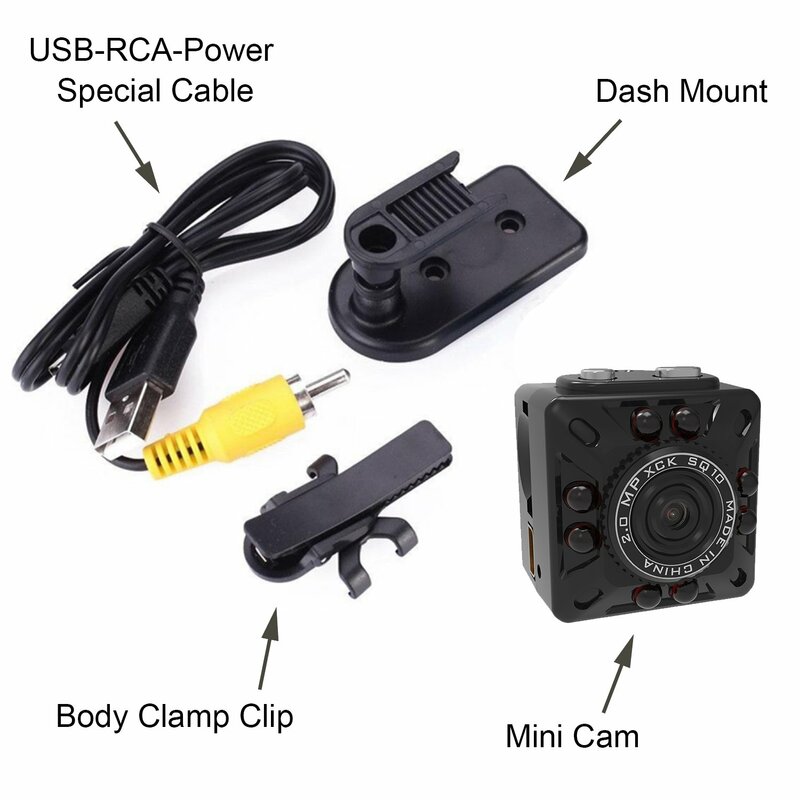 ✓ SPY MICRO CAMERA. 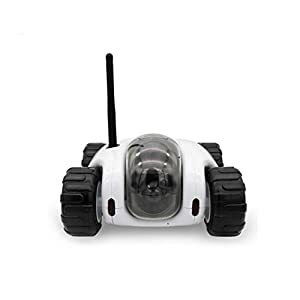 This small spy camera can be used as a mini hidden nanny cam. 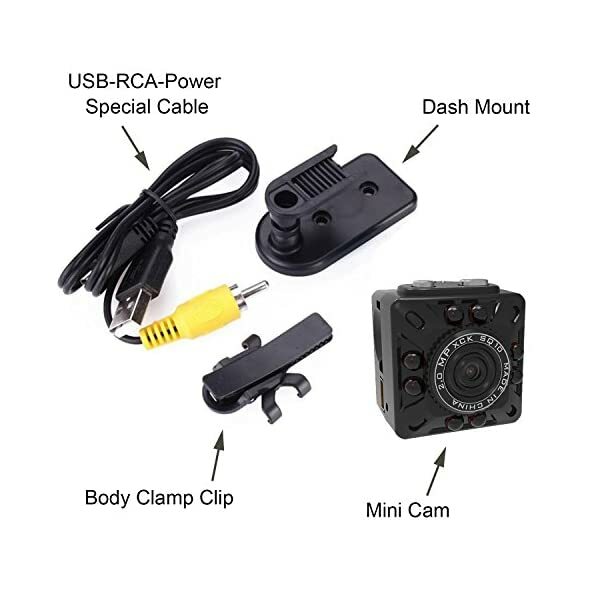 Not wireless cameras, but this camaras espias are great micro secret camara espia for security video. 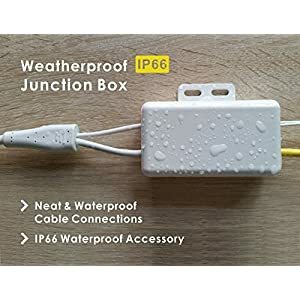 ✓ Standard 2.0 mini USB connection. Compatible with Mac, Windows, and Linux. No need to install drivers, or any extra software, just your standard operating system tools will work. ✓ UP TO 60 MINUTES LIVE RECORDINGS. Record without using cables for up to 60 minutes (depending on the recording mode). You can also record while charging. Charge the battery with your computer ONLY. 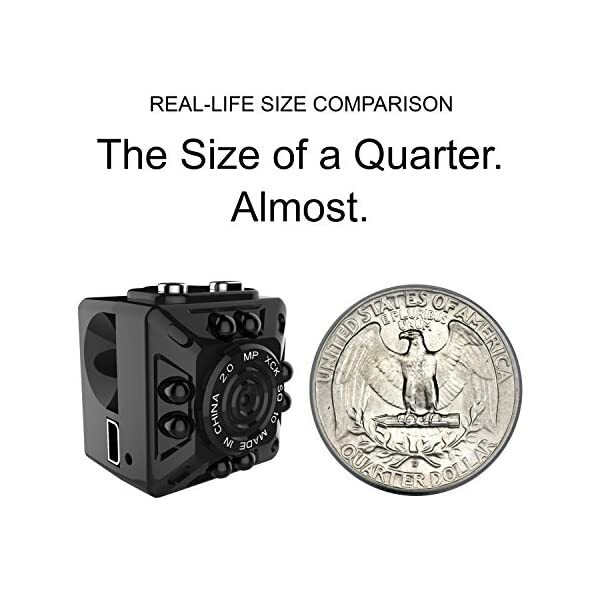 THE SIZE OF A QUARTER. ALMOST. 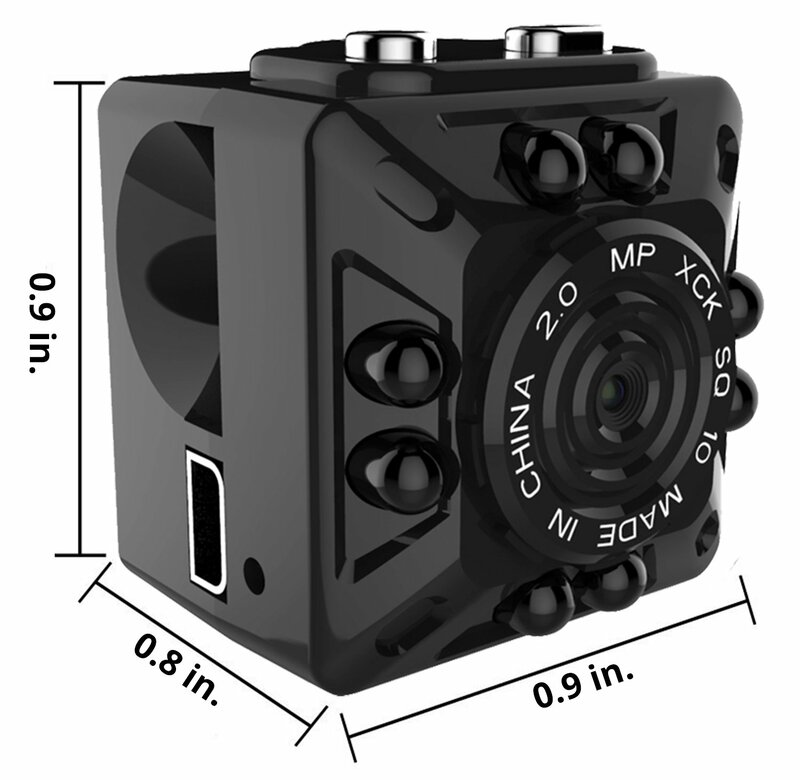 This matte black, coin-sized, Full HD camera, it’s perhaps the smaller HD camera on the planet. 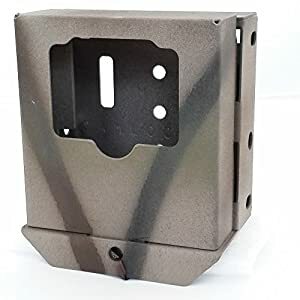 Place it semi-hidden strategically for the best takings or video record in public places without calling attention. 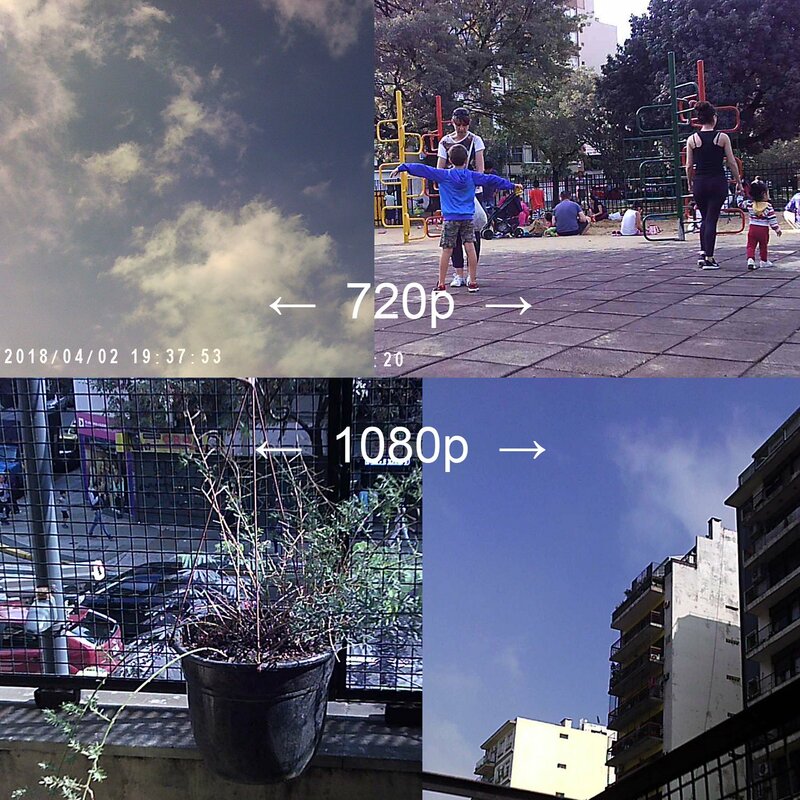 1080p FULL HD WITH AUDIO. 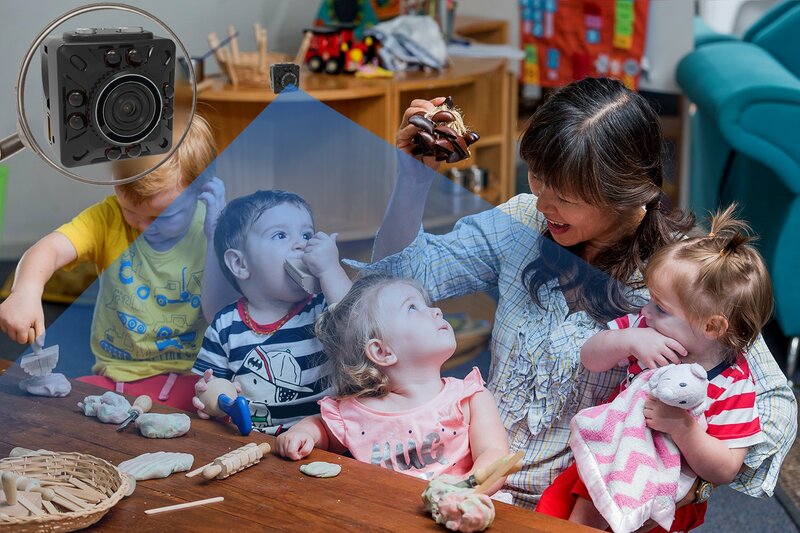 It doesn’t matter if you are recording your 1-year-old first birthday party, your first Indy movie, monitoring your pets, the nanny or your elders’ caregivers. Save all the details. Including audio. 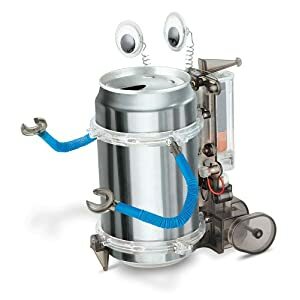 YOUR OWN PERSONAL ROBOT GUARD. 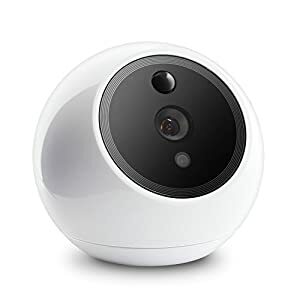 In Motion Detection mode, when the sensor detects activity, the camera will wake up and record for 2 minutes and save it to an individual video file. It will save space on the microSD card and it will save time when reviewing the recordings. NIGHT VISION. 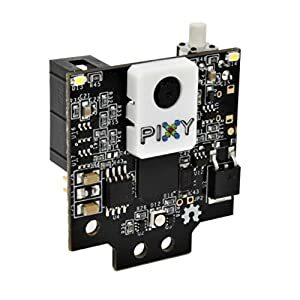 This tiny camera has super powered night vision for better recording on low light or total darkness. 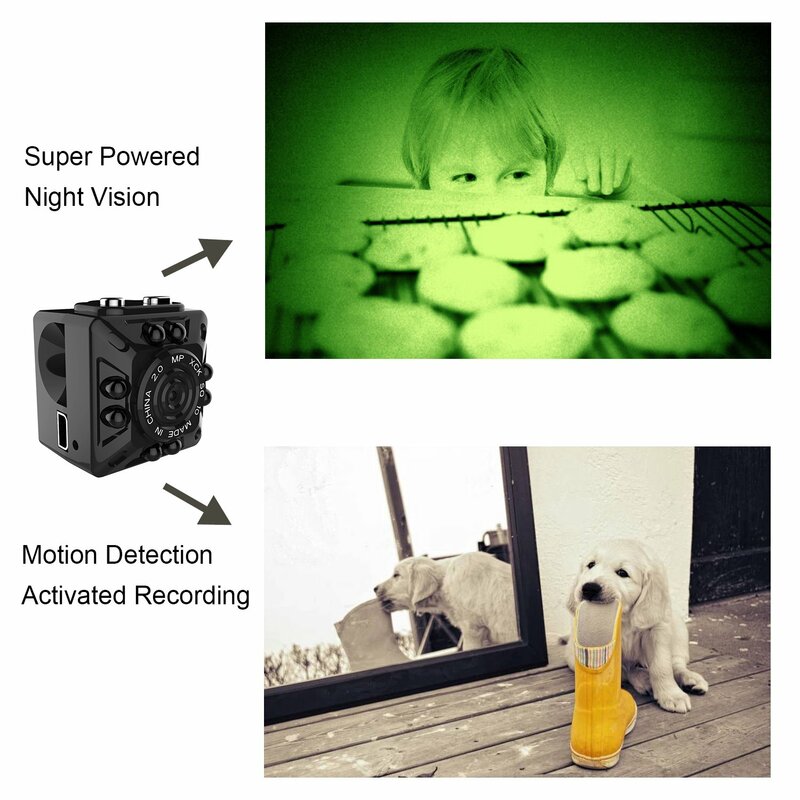 Pair Night Vision with Motion Detection and you may be surprised by what happens when your home is in the darkness. UP TO 32GB MicroSD CARD. Save up to 4hs of continuous 720p video or 2:30hs of 1080p. While recording, the older files will be overwritten by the new files to prevent the card to get full. The MicroSD card is NOT included.